Apple has been Imagination’s biggest customer for years. Its PowerVR GPUs can be found inside the iPhone, iPad, iPod, Apple TV, and Apple Watch — and they help deliver high-end gaming experiences that blur the lines between mobiles and consoles. Last year, Apple’s deal with Imagination earned the company a whopping £60.7 million ($75.9 million) in revenue. That’s expected to rise to £65 million ($81.2 million) for the year ending April 30, 2017. It’s more than half the company’s total income. But Apple likes to develop its own hardware when possible. It has been using its own A-series processors since the introduction of the original iPad in 2010, and now it plans to produce its own GPUs that will work alongside them. “Apple is of a view that it will no longer use [Imagination’s] intellectual property in its new products in 15 months to two years time, and as such will not be eligible for royalty payments under the current license and royalty agreement,” Imagination confirmed today. 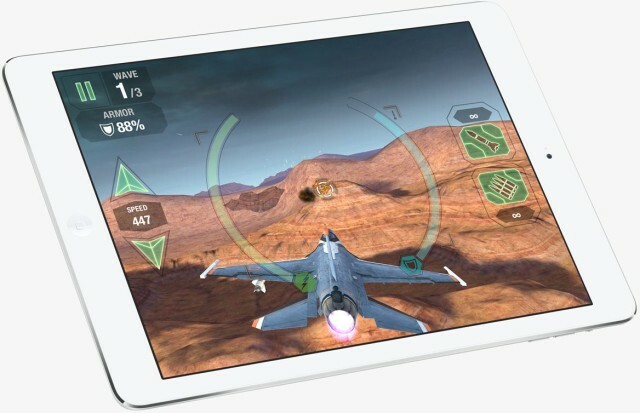 We will likely see Imagination’s PowerVR graphics in iPhone 8 and the next-generation iPad Pro, but Apple’s very own graphics processing unit could debut in next year’s iPhones and iPads. Imagination has asked Apple for proof that the GPU it is developing does not make use of intellectual property owned by Imagination, but “Apple has declined to provide it,” the company claims. Therefore, it suspects Apple might be ripping off its ideas. It certainly doesn’t sound like this will be an amicable split. Not only has Imagination announced that Apple is dropping its technology, but it confirms it is developing its very own GPUs — something Apple will have wanted to keep quiet. This news comes less than a month after Imagination revealed its next-generation PowerVR GPU. Dubbed Furion, it is capable of powering 4K smartphone displays and intensive virtual reality experiences. It’s up to 35 percent faster than Rogue, the GPU used in iPhone 7. This time last year, Apple confirmed it had held preliminary takeover talks with Imagination, but opted against making an offer for the company. In October, it was reported that Apple had turned to poaching Imagination talent to build its own GPU team. As you might expect, shares in Imagination plunged as much as 75 percent following today’s announcement, wiping £500 million off its market cap. Apple has declined to comment on the news.